'Biodiversity' refers to biological diversity, the variety and variability of life on Earth: The number and variety of species of plants, animals and other organisms that exist, within species, between species and between ecosystems, be they terrestrial, marine or aquatic (The International Convention on Biological Diversity, 1992). 'Natural heritage' includes bio-diversity, as well as geology and landforms. Biodiversity conservation can provide not only sustainable income for local communities through responsible ecotourism as an alternative to other natural heritage resource employment such as logging, encouraging conservation and ecosystem guardianship, but also sustainable resources for local communities livelihoods. SDG #15 "Life on Land: Protect, restore & promote sustainable use of terrestrial ecosystems, sustainably manage forests, combat desertification & halt & reverse land degradation & halt biodiversity loss"
The SDGs aim for sustainable ecosystems by 2020. Plant life represents 80% life on Earth and provides 80 percent of our human diet: we rely on agriculture as an important economic resource and means of development. Forests account for 30 percent of the Earth’s surface, providing vital habitats for millions of species and important sources for clean air, water and climate change mitigation. Yet humanity - the world’s 7.6 billion people - who represent just 0.01% of all living things, has caused the loss of 83% of all wild mammals and half of plants, while livestock kept by humans abounds: 60% of all mammals on Earth are livestock, mostly cattle and pigs, 36% are human and just 4% are wild animals. Likewise, 70% of all birds on the planet are farmed poultry, and just 30% wild. (The Guardian, 2018) Such transformation of the planet by human activity has led scientists declaring a new geological era – the 'Anthropocene'. Urgent action must be taken to reduce the loss of biodiversity for our planet's sustainability. The United Nations designated the decade 2011–2020 as the UN Decade on Biodiversity. Supporting Services are necessary for the production of all other ecosystem services eg. nutrient recycling and soil formation. Provisioning services which involve the production of renewable resources. e.g. food, raw materials, wood, fresh water, minerals, energy and even ornamental services, such as fashion, handicrafts, pets, decoration and souvenirs. Regulating services are those that lessen environmental change e.g. climate sequestration, pest/disease control, waste decomposition and air purification. Cultural services represent non-material benefits of human value and enjoyment e.g. landscape aesthetics, cultural heritage, outdoor recreation, spiritual enrichment, cognitive development and reflection. Business and ecosystems are linked. Companies rely on the provisioning and regulatory services ecosystems provide. They can directly support sustainable natural resource use by measuring, managing and mitigating impacts. Payments for Ecosystem Services (PES) are incentives offered for some sort of provision of ecological service. They are set down as a transparent system for conditional payments to voluntary providers to promote the conservation of natural resources, such as found in the interplay of tourism and ecosystems e.g. At Campi ya Kanzi in Kenya, PES helps with human-wildlife conflicts which might otherwise limit livelihoods and tourism potential: A daily conservation fee is charged to guests which funds any loss of livestock to Maasai herdsmen by predators such as lions. This means the Maasai are fairly compensated and incentivised to not threaten wildlife which might harm their cattle, key to predator conservation: Protecting wildlife by making it profitable for the landlords. Wildlife in their area has subsequently not reduced as dramatically as other areas. In Malawi, RSC's PES of 1.5% of holiday costs go to local projects for the conservation, protection and enhancement of the ecosystems and rich culture of rural host communities their guests benefit from during their stay. Tourism has a particular interest in biodiversity conservation because it is often natural capital, such as landscapes and wildlife, air and water quality, flora and natural heritage, which attract tourists to a place. It is in a place's and its peoples' interest to protect, retain and restore its natural ecosystems. But biodiversity is not distributed evenly on Earth. Its richness depends on the climatic conditions and area of a region, generally clustering in hotspots in tropical areas. A biodiversity hotspot is a region with a high level of endemic species that has experienced great habitat loss: Most are tropical forest areas, home to thousands of endemic plants and animals being destroyed at a frightening pace. 1.6 billion people depend on forests for their livelihood, including 70 million indigenous people (UN), so increasing populations are putting ever more demand on limited resources. 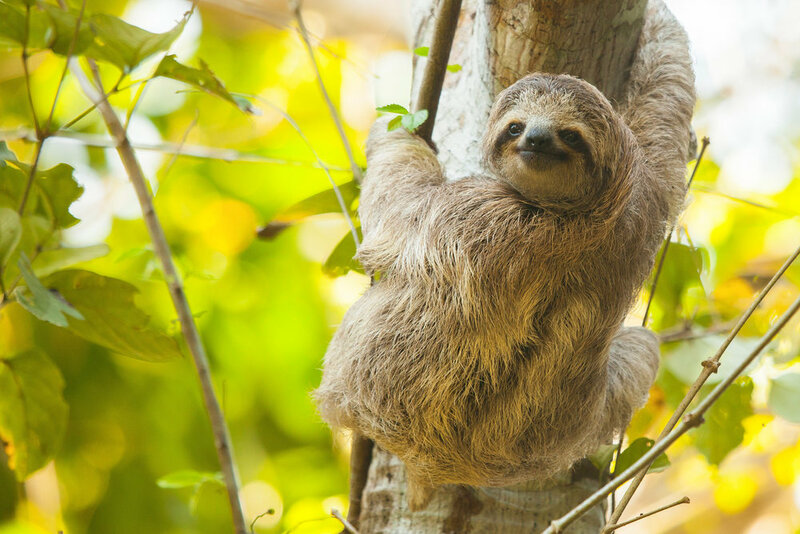 Costa Rica is known for its nature with its 850 species of birds and 200 mammal species, reptiles, trees and plants. Lapa Rios, a 930 acre private nature reserve exclusive to registered guests at the southern-most tip of the Osa Peninsula, is Central America's last remaining lowland dense tropical primary rainforest, home to an incredible 2.5% of the biodiversity of the whole world, probably - who knows how many unknown species there may be! Near by Nicaragua is similarly bio-diverse: A lake setting for rainforest combined with inactive volcanoes' elevation gives rise to one of the world’s few cloud forests - an extremely rare ecosystem home to a hundreds of species, many endemic such as the Mombacho salamander and Mombacho butterly. There’s 700 different plant species, including hundreds of orchids and flowering bromeliads, and over 700 bird species. Jicaro Island has started a program and tree nursery for reforesting the Asese Peninsula with native trees. Indonesia's 17,000 islands cover 735,355 square miles (1,904,560 km2) and contain 10% of the world's flowering plants, 12% of mammals and 17% of reptiles, amphibians and birds—along with nearly 240 million people. Nikoi Island conduct regular surveys of flora and fauna and are looking to establish a Marine Protected Area for Marine Conservation. 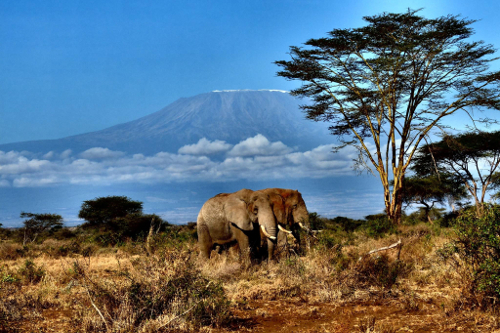 In Kenya, with a backdrop of Kilimanjaro, the immense 283,000 acres of the Kuku Group Ranch, offers a natural corridor between Tsavo and Amboseli National Parks, and incredible wildlife viewing for guests at Campi ya Kanzi including the Big Five. The Maasai host dynamic has also led to pioneering Payment for Ecosystem Services, incentivising Maasai to see wildlife as a long term asset worth conserving, and the deep cloud forests of the Maasai's Chyulu Hills offering important water, oxygen and carbon resources. Since Madagascar separated from mainland Africa 66 million years ago, many species and ecosystems have evolved independently. SEED Madagascar's environmental projects work to protect threatened areas and species and focus on involving local communities as the people who know the most about the local environment and conservation priorities for living off the land. Tiger Mountain Pokhara Lodge in Nepal is well known for its birds and butterflies, including raptors and waterfowl, and conduct annual surveys and providing the data to conservation organisations such as Bird Conservation Nepal and Birdlife International. On Floreana Island, Tropic Ecuador is offering the first community-based tourism in The Galapagos, a rare opportunity to stay on the island and see out-of-this-world wildlife in one of the few World Heritage Marine Reserves. Chumbe Island Coral Park in Tanzania is a non-profit organisation set up for biodiversity conservation and education, both marine and land. The whole of Chumbe Island and coral rag forest is a nature reserve. Over 20 years as a protection area means an exceptional amount of biodiversity in rare and endangered plant, animal and marine life. Marine biodiversity tends to be highest where sea surface temperature is highest at lower latitudes nearer the equator in the oceans, for example Madagascar, Indonesia and Costa Rica, and along Western Pacific coasts such as The Philippines, Great Barrier Reef. All species of plants taken together are known as Flora: About 70,000 species of plants are known to date. All species of animals taken together are known as Fauna which includes birds, mammals, fish, reptiles, insects, crustaceans, molluscs, etc. Estimates on the total number of Earth's current species range from 10 million to 14 million, with about 1.2 million documented and over 86 percent not yet been described. More recently, in May 2016, scientists reported that 1 trillion species are estimated to be on Earth currently with only one-thousandth of one percent described (Wikipedia). Rapid environmental changes typically cause mass extinctions. More than 99 percent of all species, amounting to over five billion species, that ever lived on Earth are estimated to be extinct. Since life began on Earth, five major mass extinctions and several minor events have led to large and sudden drops in biodiversity. Understanding global biodiversity distribution of is one of the most significant objectives for ecologists and biogeographers, essential to issues of major concern to humankind, such as the spread of invasive species, the control of diseases and impacts on human health, and the likely effects of climate change. Tropical areas play a prominent role, where rates of habitat degradation and biodiversity loss are exceptionally high and human imperatives such as food security and sustainable development particularly challenging. The International Union for Conservation of Nature (IUCN) has been assessing the conservation status of species on a global scale for over 50 years in order to catalogue and highlight those facing a higher risk of global extinction (i.e. 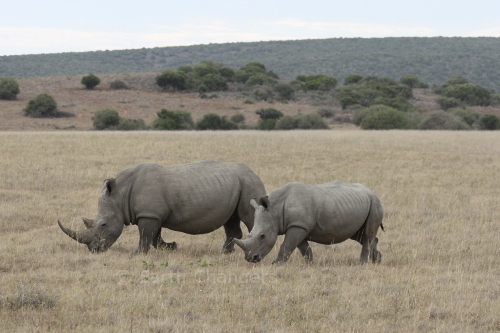 those listed as Critically Endangered, Endangered and Vulnerable). Only a small number of the world's plant, fungi and animal species have been assessed and catalogued on this IUCN Red List: Of the 85,000, more than 24,000 are at risk of extinction. In animal species alone, of the 8,300 breeds known, 8% are extinct and 22% are at risk of extinction. Corals are increasingly at risk. Conservation efforts are thwarted by poaching and trafficking of wildlife, crimes that are occurring worldwide. Since 1999, at least 7,000 species of animals and plants have been reported in illegal trade affecting 120 countries. (UN Stats). The IUCN Red List also includes wild relatives of important food crops, such as mangoes and sunflowers, and finds them in danger of extinction too, cutting the ability to safeguard food supplies by breeding new varieties resilient to drought and disease. The Red List highlights year to year changes, but many species will go extinct before they can even be catalogued. Deforestation is also a serious contributor to loss of biodiversity. Forests are home to 80% of all terrestrial species of animals, plants and insects. The removal of trees, often tropical rainforest, sometimes irreplaceable primary rainforest, for conversion to non-forest use such as palm oil plantation or other cash crops like banana, creates huge loss of tree species and wildlife that lives within the habitat, like the Orang-Utan in Indonesia. Even though sustainable forest management has helped deforestation decrease by more than half since the 1990s, from 7.3 million hectares per year to 3.3 million hectares per year 2010-2015, the net loss of forests continues: Between 1990 and 2015, the world’s forest area diminished from 31.7 per cent of the world’s total land mass to 30.7 per cent. (UN Stats). Tiger Mountain Pokhara Lodge funds a forest ranger's wages to patrols the community forest to prevent poaching and illicit felling. The period since the emergence of humankind has displayed an ongoing biodiversity reduction and an accompanying loss of genetic diversity, caused primarily by human impacts, particularly habitat destruction. Scientists have found that over 50% of the world’s land area is now dominated by human activity, with 9% of this change happening in the last 25 years alone. Drought and desertification is on the rise each year, amounting to the loss of 12 million hectares (UNDP) and affecting poor communities globally. Where 1.7m sq miles (4.4m sq km) of wild habitat was lost in the last 25 years, protected areas have increased by 2.7m sq miles. In 2014, 15.2 per cent of the world’s terrestrial and freshwater environments were covered by protected areas. These areas, otherwise called conservation areas, receive protection because their recognised natural, ecological and/or cultural values (including ~1.2% of the world's oceans in the world's ~6,800 Marine Protected Areas), are dedicated and managed to achieve long-term conservation of nature. INcluding Key Biodiversity Areas (KBAs) is a vital yardstick. Globally, the percentage of terrestrial, inland freshwater and mountain KBAs covered by protected areas has increased from 16.5 per cent to 19.3 per cent, 13.8 per cent to 16.6 per cent, and 18.1 per cent to 20.1 per cent, respectively, from 2000 to 2016 (UN Stats). Conservation Easements have been growing, committing many private land areas to "conservation in perpetuity": A landowner can give up one or more rights (eg. the right to build additional structures) for a purpose such as conservation while retaining ownership of the remainder of the rights (such as the right to grow crops). In ceding a right, the landowner "eases" it to another entity, such as a land trust or government, giving it the power to exercise rights to achieve its conservation purposes. Most such landowners want to protect their lands and waters from inappropriate development beyond their lifetimes. The grant of conservation easement is recorded in local land records and becomes a part of the chain of title for the property. Most easements "run with the land," remaining with the property even if sold or passed to heirs, thus binding in perpetuity the original owner and all subsequent owners to the easement's restrictions. The organisation that holds the conservation easement is responsible for making sure the its terms are followed in the future, monitoring and defending the easement legally if it is ever violated. Many types of private land use, such as farming, can continue under the terms of a conservation easement, but landowners may have to take certain actions to protect land and water resources. Each easement is individually tailored to meet the needs of the landowner (such as continue to live on the property) and conservation objectives, which may be specific (such as the protection of habitat of a certain species) or more general (protect farmland, open space, views or significant biodiversity). However, despite over 161,000 protected areas in the world and protected area land size almost doubling, it still only covers 14% of all land. Protected areas are not always in the most vital regions of threatened biodiversity, but rather remote locations where nobody else is vying to convert the land (The Guardian, December 2016). The current rate of global extinction of species is believed to be faster than some of the five previous mass extinctions in the Earth’s history. In June 2016, the Bramble Cay melomysa, a tiny rodent found only on a single island off the coast of Australia was reported officially extinct — the first mammalian causality of man-made climate change, according to the scientists. Although the total number of lost species does not yet compare to when the dinosaurs were wiped out about 65 million years ago, a study of nearly 1,000 animal and plant species over the last 50 years saw 47%, and 74% of freshwater species, suffering local extinctions linked to the +1C change to climate the world has already experienced. This is nothing compared to what might happen if global warming hits 2.6C to 4.8C by 2100 if nothing is done to reduce greenhouse gases. One in five species now faces extinction, but that trend could climb to as high as one in two by the end of the century, as we destroy ecosystems at an unprecedented rate, the planet's life support systems, due to deforestation pollution and for agriculture. Some scientists believe we are on track for the sixth mass extinction to happen in as little as 50 years. Others believe 50% of the planet should be set aside in conservation to save the Earth’s biodiversity, not just humans. Space the Next Frontier, Saviour of Life on Land? "In at least a few hundred years…all of our heavy industry will be moved off-planet. Earth will be zoned residential and light industrial. You shouldn’t be doing heavy energy on earth. We can build gigantic chip factories in space." Likewise Elon Musk believes that life on Earth is inherently finite, and colonization of different planets a necessity to ensure human survival, and Professor Stephen agrees the human species will have to populate a new planet within 100 years if it is to survive. But how would allocation of land, people and resources be achieved? We have enough of a problem on our own planet with people not taking responsibility, let alone in space. But no space colonies or infrastructure will ever be able to replace our planet. So would space-fill just become the new land-fill dumping ground? With climate change, epidemics and population growth, even overdue asteroid strikes, our own planet and future is increasingly precarious. Endemic: Native to and restricted to a particular area or region and not found naturally anywhere else in the world. Native or Indigenous: Native to a particular area or region, whereby its presence is the result of only natural process, with no human intervention, but can be found naturally in other areas. Exotic or Introduced: Not native or indigenous to a particular area or region but accidentally or deliberately introduced into the area. May become established or invasive. Invasive: Non-native or introduced to an ecosystem that becomes established, spreads, and likely causes damage to biodiversity, agricultural production, or human health.